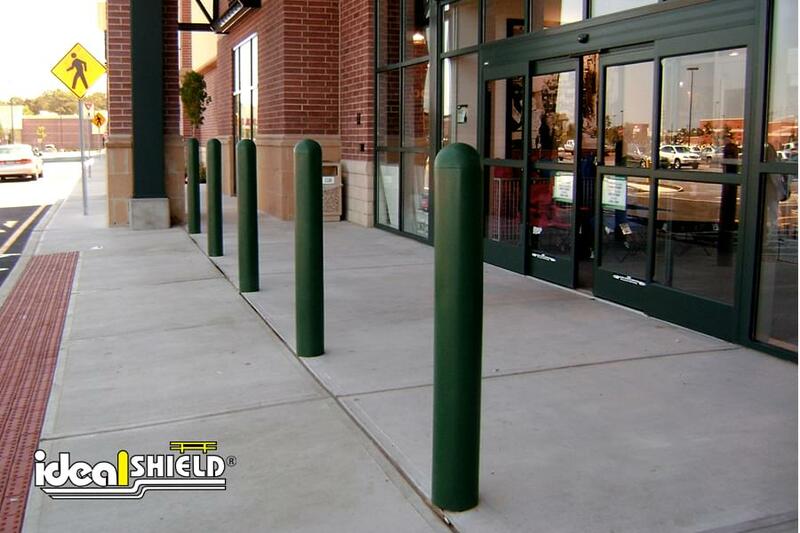 Ideal Shield’s 1/4″ Bollard Cover is The Original Dome Top Bollard Cover and the Most Sold Bollard Cover on the market. 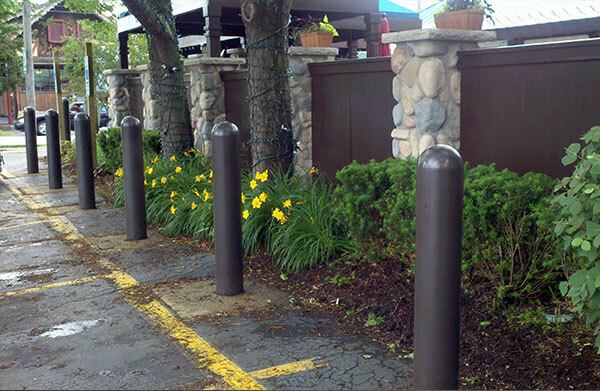 Our “Never Paint Again” cover fits 3″-12″ (diameter) pipe sizes and covers a max pipe height up to 84″ (depending on diameter) with a secure fit every time. 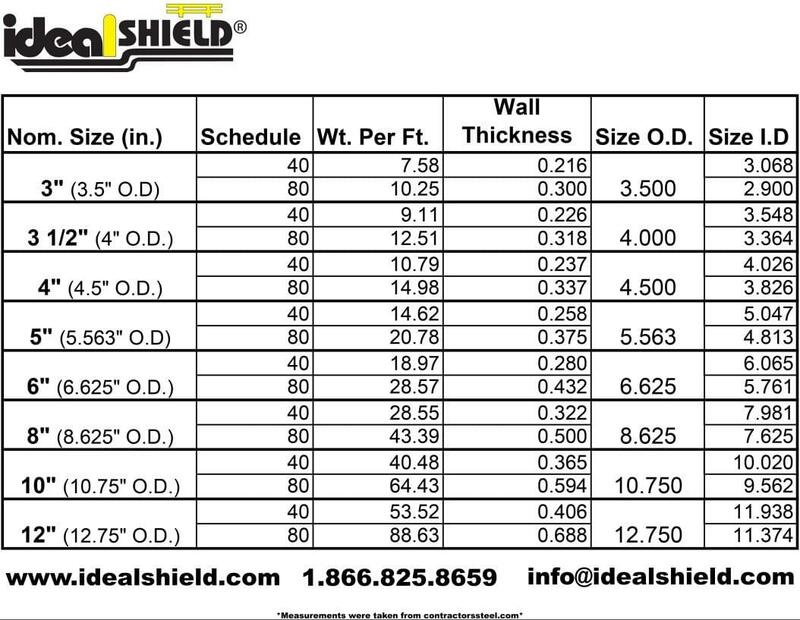 And unlike the competitors, Ideal will also cut each cover to match your pipe needs exactly at no additional cost. 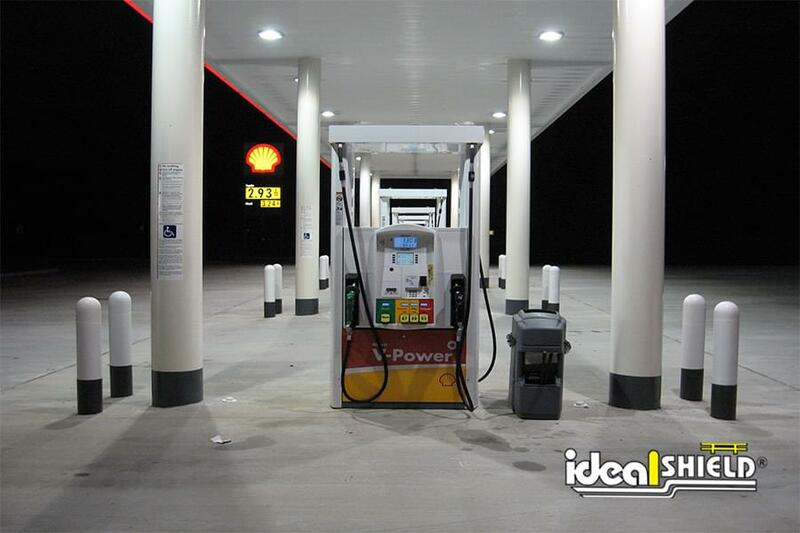 As for that installation, it couldn’t be any easier. 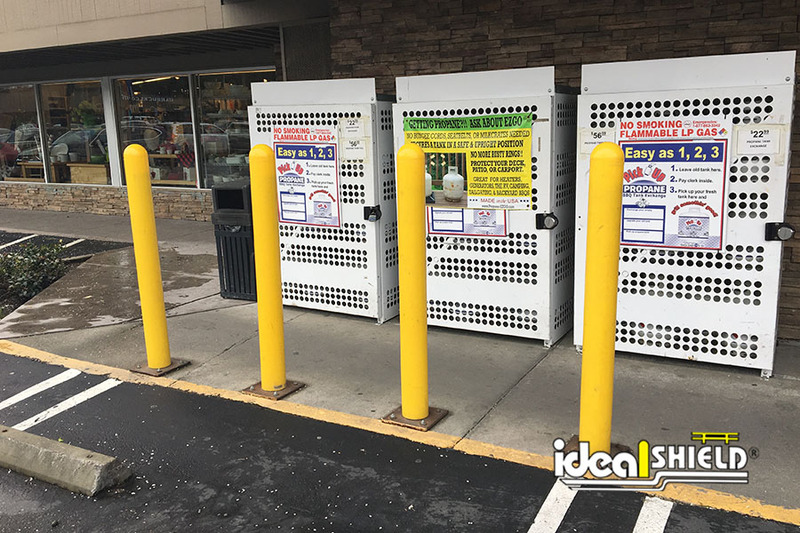 With the patented installation tape, you will be able to install the covers within seconds while eliminating the need for messy adhesives. 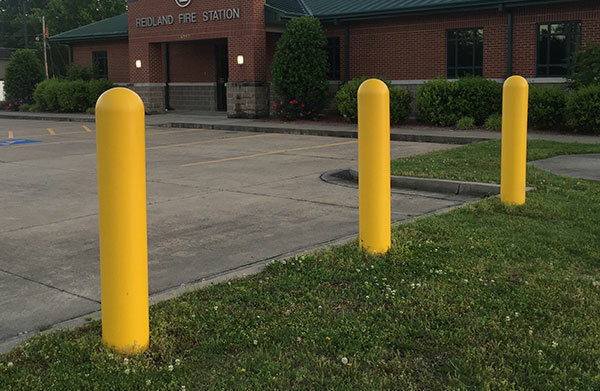 The 1/4″ Original Dome-Topped Bollard Cover is the perfect solution for high traffic areas to protect your company’s most valuable assets. 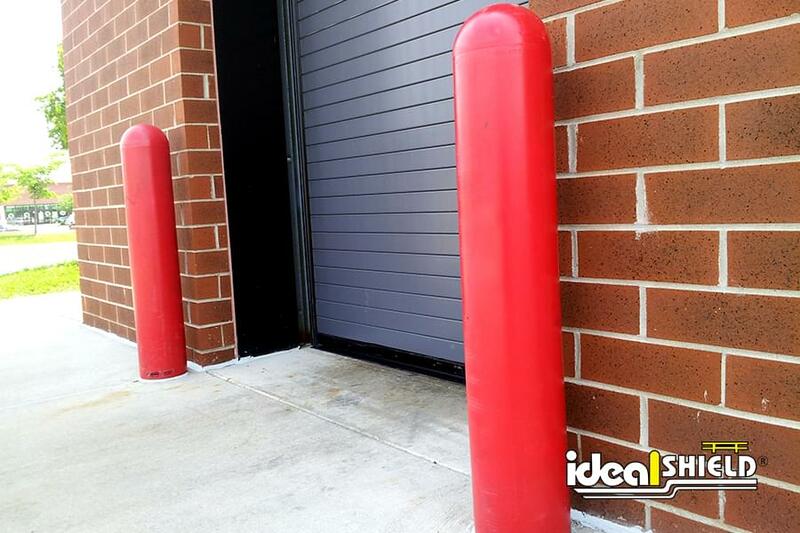 It’s also perfect for branding your property or business. 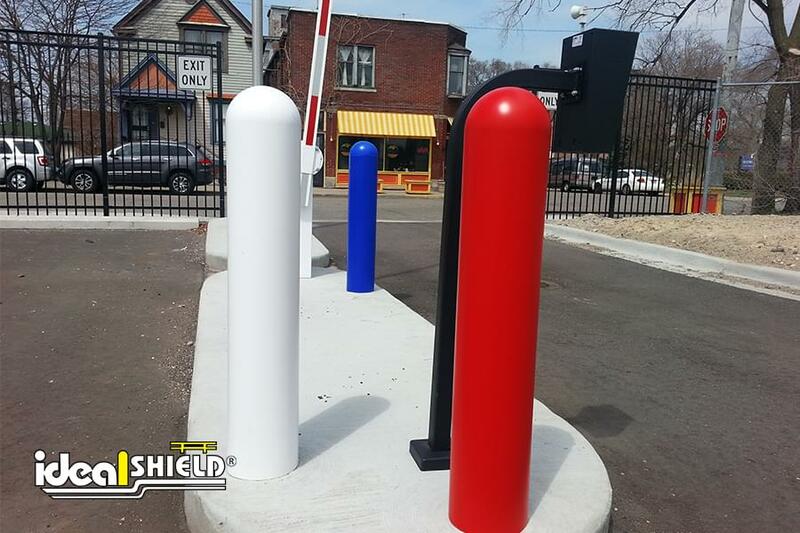 With over 600 colors matched already, you can get the exact color scheme for your business on your new bollard covers. 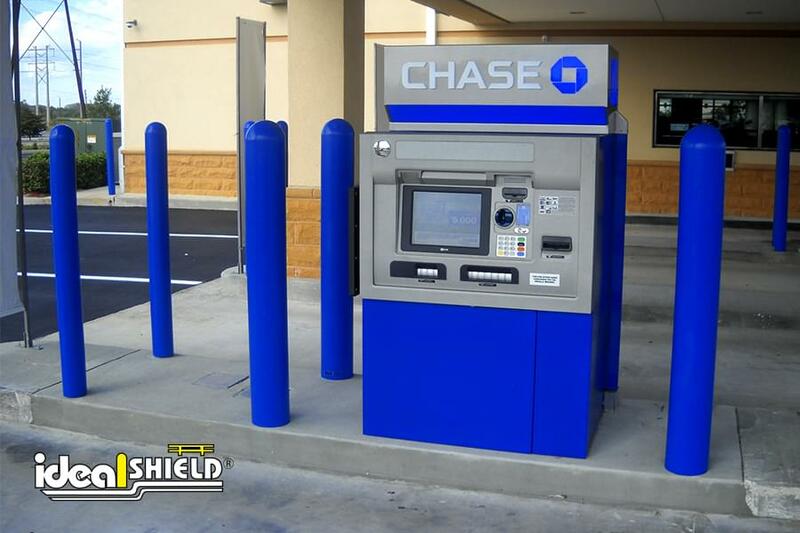 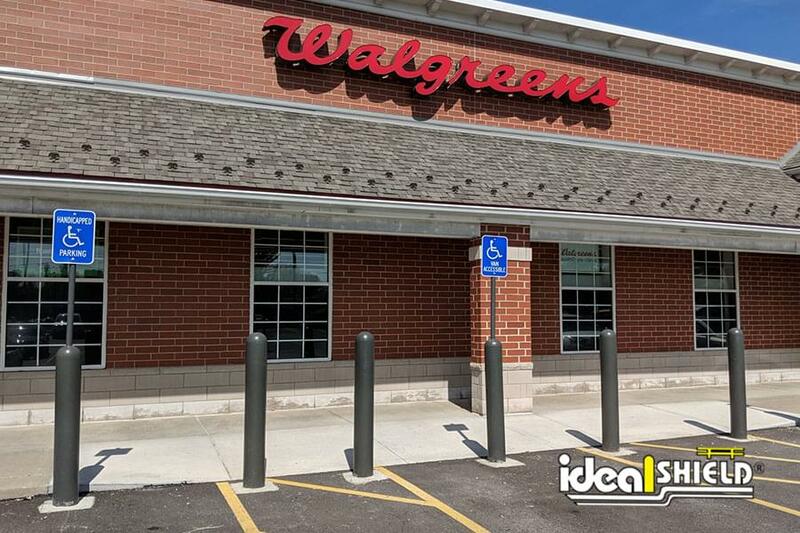 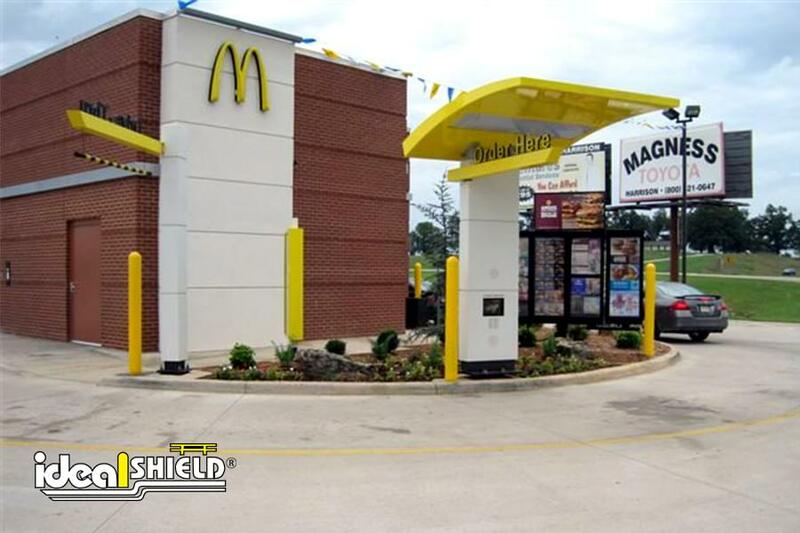 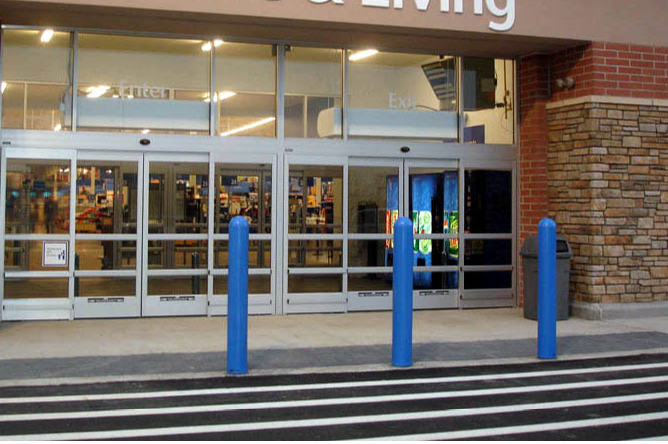 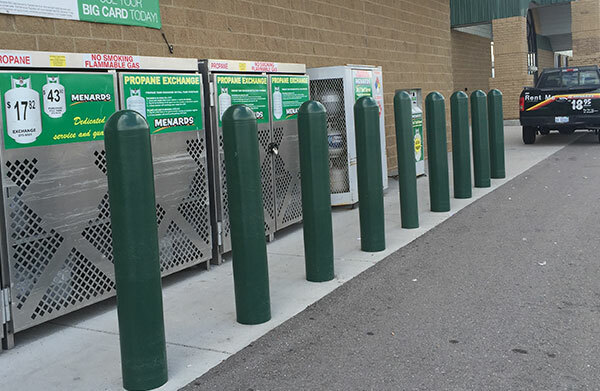 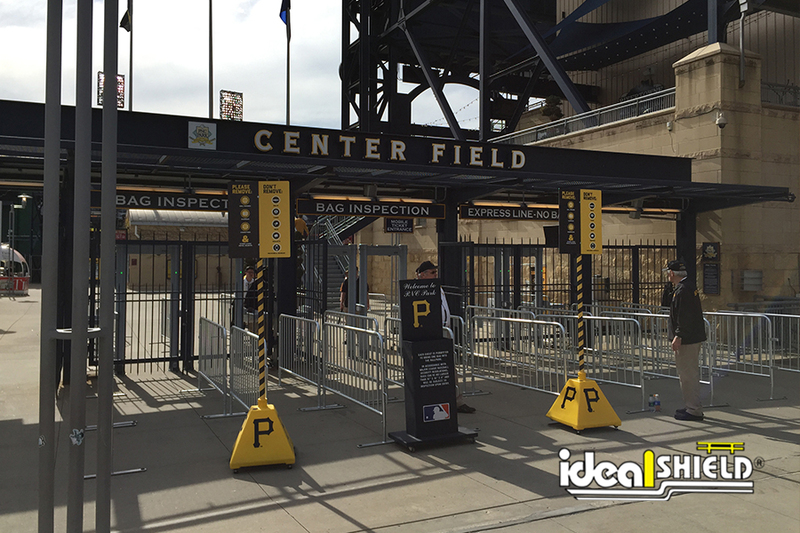 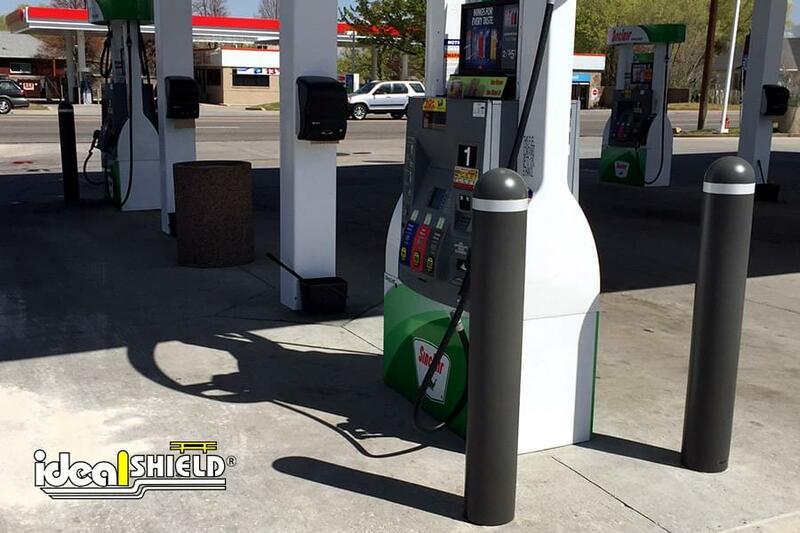 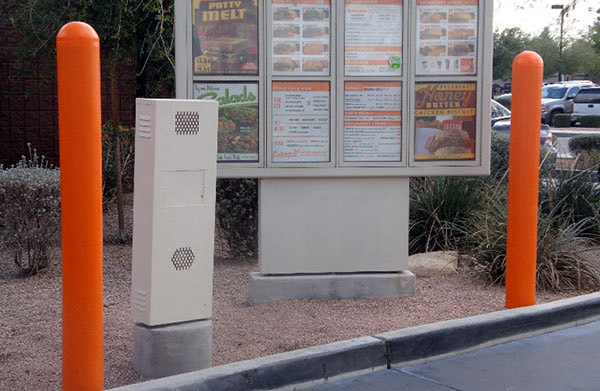 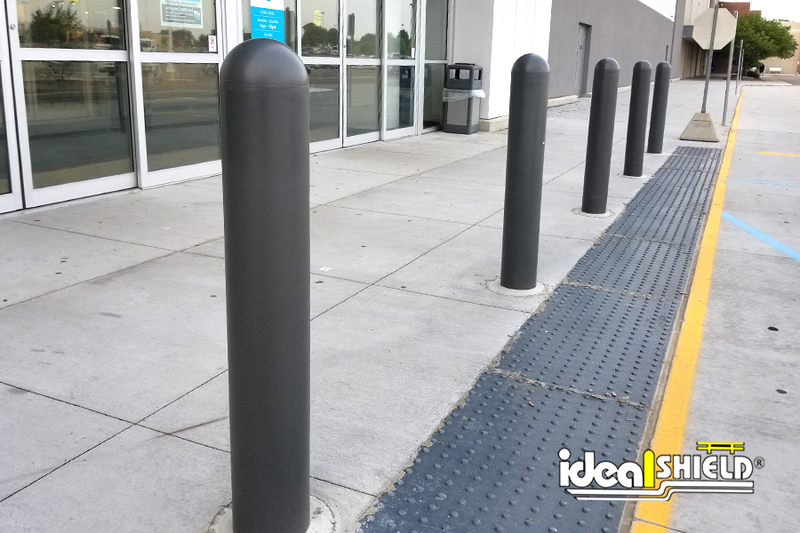 If you’re looking to save time and money on your bollard’s appearance make sure your facility is fully covered with Ideal Shield’s most resilient and customizable bollard cover! 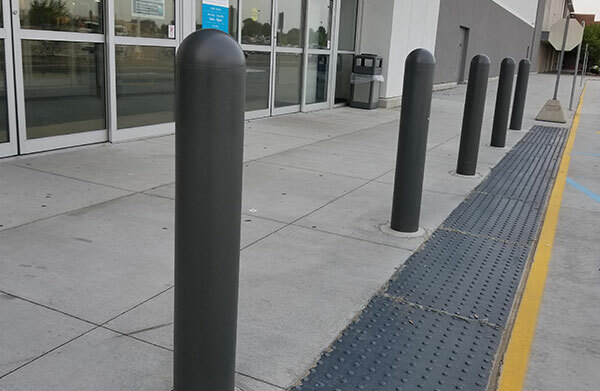 UV protection in every bollard cover – no fading! 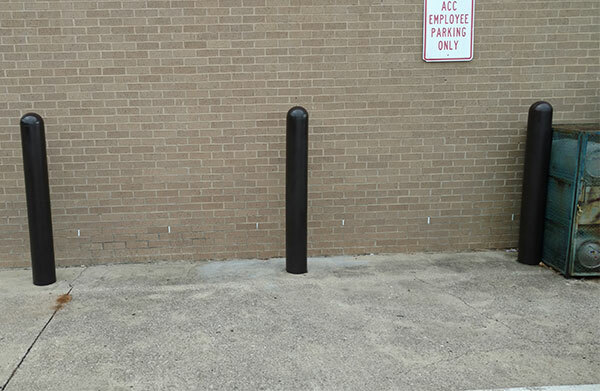 Our 1/4” bollard cover can fit over all pipe sizes from 3”- 12”. 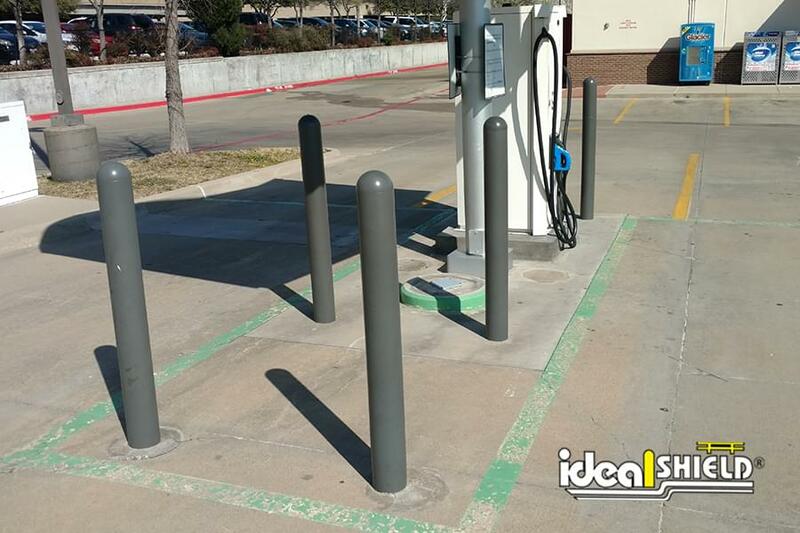 Ideal’s bollard covers are available in any color. 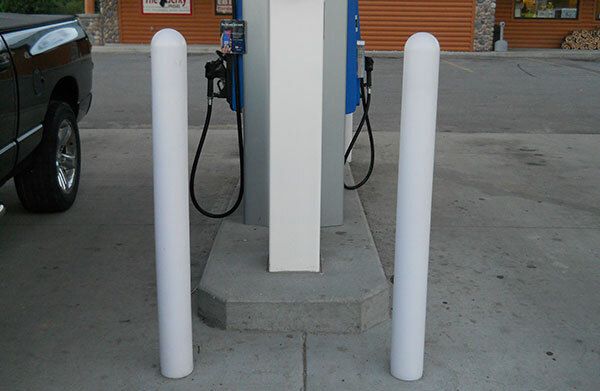 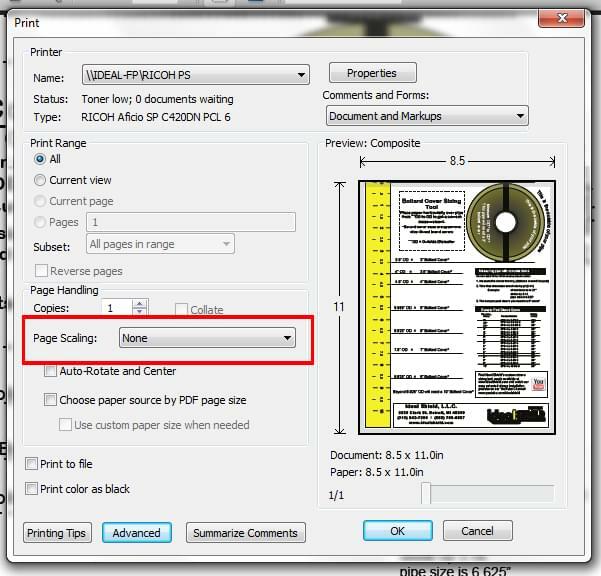 Yes, the 1/4″ thick covers are available in any color. 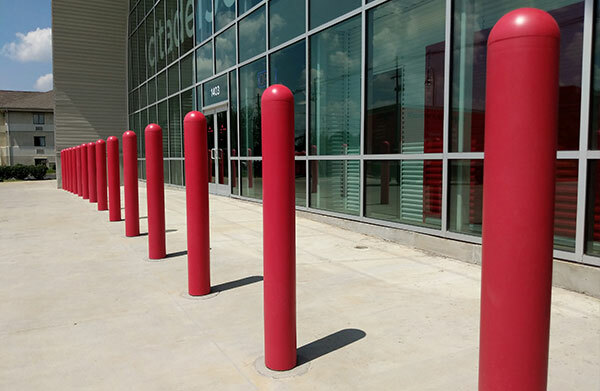 All we need is a Pantone or Sherwin Williams color number. 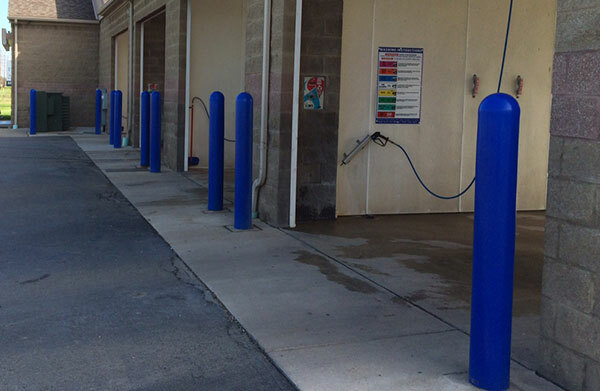 We have done Custom Colors for Fortune 500 companies and small shops with great results. 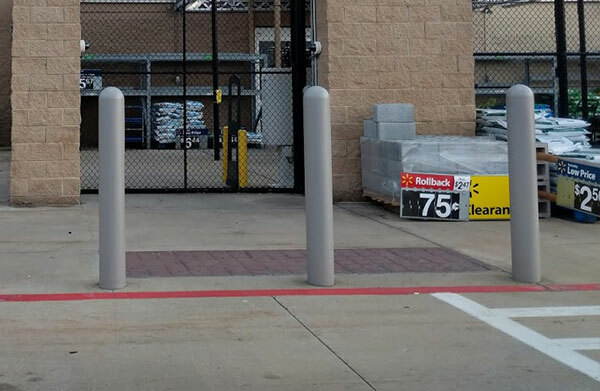 Lead time will depend on if we have matched the color before. 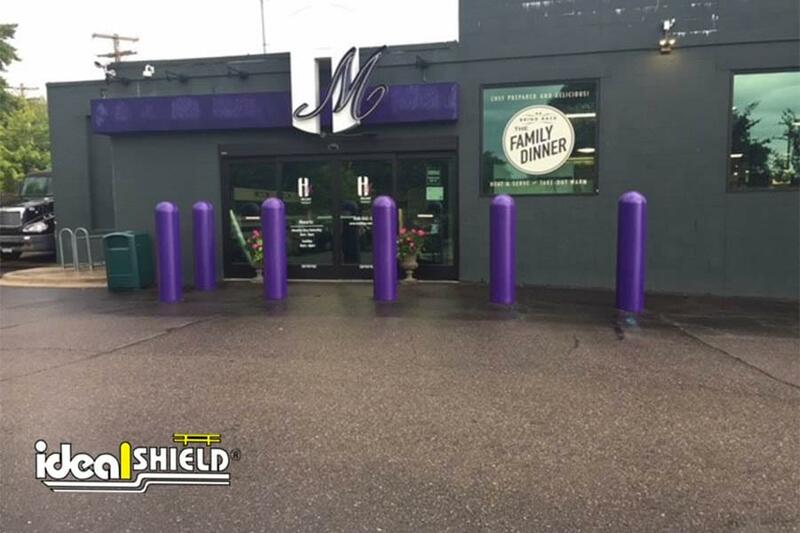 We have matched over 600 colors to date! 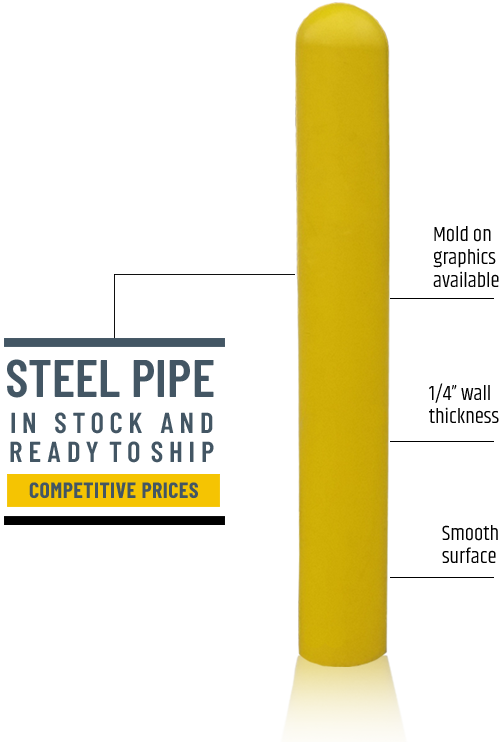 Lead time is 2-3 weeks if we've matched it before, and 4-6 weeks if it’s a new custom match. 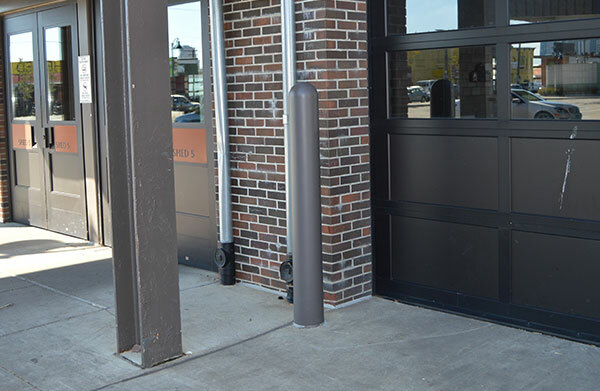 We do have options that come with reflective stripes! 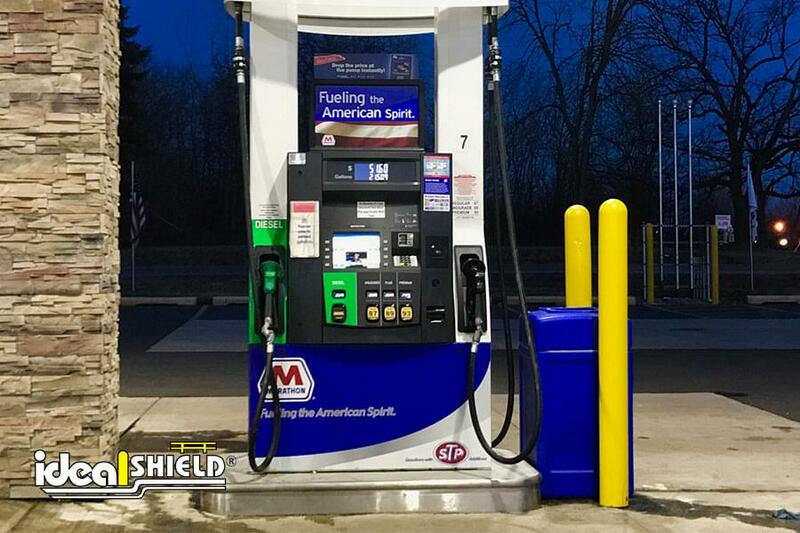 Ask our team for more info.